The Latest Digital Marketing Knowledge. Actionable Workshops. Networking Fun in Bali. Does the word conference bring up memories of suited professionals droning on about… well, you can’t quite remember what? Awkward socializing, shameless sales pitching, branded pens. When you come to DMSS, make sure to bring the swimmers and sunglasses. We are covering all aspects from ethical business practices, to conscious consumption, to mindful design of marketing channels and living a more conscious & joyful (business) life. Stay tuned via our Newsletter to find out more! On the 31st of October - starting at 5pm - we invite you to join our Welcome Drink at the Rooftop Bar of the Trans Resort. DMSS is about sharing digital marketing knowledge. From real marketers to real marketers. Heart to heart and made with love and integrity. Our experts work in the field every day and they share their best secrets and tactics. Our common goal is for you to succeed in your business and marketing efforts. Learn from our marketing experts that are rocking the industry every day. Ryan Bell creates colorful strategies in media. He's formed communities and worked with companies from BMW to The NFL and built interactive strategies, workshops and social engagements with Obama's White House, NATO, SXSW and Twitter. Ryan works at NASA's Jet Propulsion Laboratory, is on the executive board for The Television Academy judging The Emmys and works with influencers, musicians and artists in Los Angeles to create the most compelling stories on social. Hootsuite is the most widely used social media management platform, trusted by more than 16 million people and employees at 80% of the Fortune 1000. Hootsuite’s unparalleled expertise, customer insights at scale, and collaborative ecosystem, uniquely help people and organizations to succeed with social. Roger Graham is the Head of Asia for Hootsuite, with 20 years experience in business leadership, sales and marketing. Roger is responsible for growing Hootsuite’s business in the region by expanding their Enterprise customer base and deepening strategic partner relationships. Prior to assuming the role of Head of Asia, Roger was the Senior Director of Growth & Marketing for Asia Pacific, and was responsible for growing Hootsuite’s brand, online revenue and demand generation for their enterprise solutions across the region. Roger is passionate about entrepreneurship and often mentors startups or speaks at conferences on digital or full stack marketing. When Roger has some downtime, he can be found playing ice hockey, traveling to catch some surf or exploring vibrant cities. Fernando Angulo is Head of International Partnerships at SEMrush. He has been with SEMrush since the beginning of company’s marketing efforts and has built its all-star marketing team. Being one of the most recognised faces of the brand, Fernando is speaking at 50+ top conferences worldwide each year. Fernando specializes in B2B search marketing, e-commerce, influence marketing and trained marketing teams of companies such as Expedia, T-mobile, Prestashop and Bing. Adam Tuttle has been a part of the ActiveCampaign team since July of 2012. In 2018, he moved to Australia to help open the ActiveCampaign Syndey office as the Director of Sales. Over his tenure, he has had many roles within ActiveCampaign including Support, Channel, Business Development, Customer Success, and Sales as both an individual contributor and as a Manager of multiple sales teams. Gael is the co-founder of authorityhacker.com and Judgement Media LTD. He has been building websites for living since 2009 and specializes in growing large authority sites from scratch that he monetizes with product sales, affiliate marketing, and advertising. Miles Beckler is a digital entrepreneur on a mission to help you unlock the abundance and lifestyle freedom possible through internet marketing and entrepreneurship. With 15+ years of profitable digital marketing experience, Miles is both qualified and fired up to teach you exactly what is working in internet marketing, now. Miles is an avid practitioner and teacher of content marketing, Facebook advertising, marketing funnels, email marketing and all things related to digital entrepreneurship. With his goal of being the 'Most helpful internet marketer ever' Miles gives away his best 'how to' information for free through his YouTube channel that grew from 0 to 90,000 subscribers in 2.5 years and through his blog, MilesBeckler.com. A well regarded speaker at SEO and marketing conferences, Kyle runs the Search Intelligence Agency (SIA), a community of over 200 SEO professionals. Each month Kyle oversees and presents scientific tests aimed at determining what is or is not a ranking factor in Google’s algorithm. Kyle is also the co-founder and Lead SEO for High Voltage SEO. High Voltage is a full service digital marketing agency with offices in Phoenix, USA, Berlin, Germany, and Melbourne, Australia. Servicing over 50 clients, High Voltage provides products for all levels of SEO, ranging from local, to national, to International. Continually staying current with SEO trends, Kyle has developed several proprietary tools and methods including a keyword strength algorithm, a method for determining target on page optimization rates, and a WordPress SEO plugin. Kyle received a B.A. in Psychology from Messiah College in 2001 and a Juris Doctorate from The Pennsylvania State University in 2004. He is also licensed by the Virginia State Bar. Kyle loves to travel and lived in Gangwondo, South Korea for five years. Andrea Vahl is a Facebook Advertising Expert, Consultant and Speaker and is the co-author of Facebook Marketing All-in-One for Dummies and her newest book is Facebook Ads Made Simple. She was the Community Manager for Social Media Examiner, one of the most influential social media news sites, for over 2 years and has appeared in top lists on Entrepreneur.com and Inc.com. She is also a stand up comedienne. Charles is a British SEO with nearly 10 years experience in the industry, controversial for his opinions on how SEO should work, there’s no denying his results and the backlash from Google he’s received as a result. Co-founder & director of UltraSuperNew (USN), a creative agency born and raised in Harajuku with offices and art-galleries in Tokyo and Singapore. Since 2007 the international USN team of 50+ people has been working on clients such as Red Bull, Heineken, MINI, PernodRicard, Skyn condoms, ASICS, Adobe, EA-sports, PUMA, PayPal, Tabasco, etc. www.ultrasupernew.com From 2012 USN is also operating art-galleries at both offices to give a platform to the makers and creators of these cities. https://gallery.ultrasupernew.com/ Originally from Amsterdam, Marc has been living in Japan since 2002. Before Tokyo he has been working in advertising and digital media at various companies in San Francisco, New York and Hong Kong. He is addicted to snowboarding and the Japanese Alps is where he spends most of his weekends. Marc has his Master of Law (LLM) degree from the University of Leiden, specialized in Media Law. Mark Webster the co-founder of Authority Hacker. He got his start in online marketing tinkering with affiliate sites and creating ClickBank products back in 2008. Mark is a systems expert and possibly a robot. He takes the tactics developed through small-scale experimentation and scales them to enterprise level. Efficiency and organization is his motto. In particular, Mark builds world-class, large-scale content creation and white hat link building systems for the authority sites under the Authority Hacker umbrella. Justin heads up growth & demand generation for all things related to bots, messaging & conversational experiences at HubSpot. He’s a regular contributor to various publications on how emerging technology is changing the way we live, work & play. His articles on AI, technology & business have been lucky enough to be translated into Japanese, German & French, featured at #1 on Hacker News & Medium, generating over a quarter million views & traffic. Hanne was Chief Marketing Officer at Thrive Themes for nearly 4 years, and recently moved into the role of Chief Operations Manager, currently working on expanding her team. Her motto: Don't be a copycat. Be a unicorn! She constantly challenges herself to level up her own skills as a manager of a fully remote team, as an online marketer, as a public speaker, as a friend and as a leader. As well as levelling up the skills of every person on my team, in the company and around herself. Harsh Agrawal has been involved in the blogging space for more than a decade. He is popularly known as the blog scientist for his award-winning Blog ShoutMeLoud.com. As a professional blogger, Harsh has the opportunity to work directly with numerous solopreneurs since 2008 to help them become their own boss via blogging. He also consults brands with their blogging strategies & helped numerous startups with inbound marketing. His superpower is his passion for blogging & interest in understanding customer psychology. Si Quan (SQ for short) is the Customer Success and Marketing Manager at Ahrefs, an industry-leading SEO tool that helps to grow your search traffic, research your competitors and dominate your industry. SQ has 3 years of digital marketing experience, and has helped several tech companies grow their traffic and sales via content marketing and SEO. Donna is a Visual Content Strategist and founder of Socially Sorted, listed in Forbes as one of ``5 Social Media Blogs You Need to Know About in 2019``. Donna helps brands get more traffic, shares and sales with visual storytelling and content strategy, and is a speaker for tourism and marketing events internationally. Andrea is a digital entrepreneur. He worked on hundreds of digital projects for brands like Ferrari, Discovery, Hyundai, Pepe Jeans London, Alitalia, Microsoft, Tommy Hilfiger, Clinique and many entrepreneurs, startuppers and small companies. He’s the founding partner of Webing Academy – a pop up training academy offering workshops and masterclasses on digital marketing and CEO at Webing. Andrea is also an author and an International speaker. He lives in London but often travels across Europe and to Bali, Singapore and the U.S.. You can find him working in a creative coworking or near the ocean searching for waves. A few years ago I was a fresh out of college working as a social media/ email marketing intern on Fortune 500 projects. Today, I'm a full-stack digital strategist for a fast-growing tech company. I plan, build, execute and measure digital campaigns for companies across many industries, including real estate, healthcare, hospitality and SaaS companies with 8 figure valuations. Like many of you, I'm self-taught - down in the trenches every day experimenting with, and testing, new strategies to drive traffic, engage leads and convert them into loyal paying customers. Along the way, I've learned a TON and I'm going to share it all with you. Nils Kattau is one of Germany's leading conversion optimization experts. Since 2004, he has run 2,000+ A/B/n-tests for more than 300 companies and built one of the biggest agencies specialized in conversion optimization. Since leaving his agency in 2016, he’s been focusing on his own projects and online marketing events. He is co-author of several books about conversion optimization, online marketing, and growth hacking. Each year, he speaks on the stages of many popular conferences and well-known companies. Nils frequently shares his knowledge in webinars and social media. Also, he is the CRO university lecturer for Google’s first European Digital Marketing Degree. Nils works with brands like Facebook, Airbnb, PayPal, Amazon Audible and ebay with the goal to improve their conversions or knowledge in the field. Mark Randall is WP Engine's Australia country manager. WP Engine is the WordPress Digital Experience Platform serving 90,000+ customers, with 600 employees in Austin, Brisbane, Limerick, London, San Antonio and San Francisco. Mark is a 20- year technology veteran having worked for companies including Rackspace and Bulletproof. By day Oliver is an SEO Manager at Screaming Frog, where he balances technical site analysis, content creation, and keeping his team of consultants happy. Also by day (and usually during work) he also runs a top secret Twitter account that posts regular Lord of the Rings gifs and relates them to problems that all SEOs have. Damien is a business consultant with a specialization & proven experience in digital marketing, e-commerce, mobile & analytics. He has worked across different sectors on multi-million dollar online ad campaigns as well as with startups. He holds a Business & E-Commerce degree from The University of New Brunswick (Canada) and has presented and taught at industry events. Brie is a senior SEO consultant and has over 10 years experience in all areas of digital marketing. 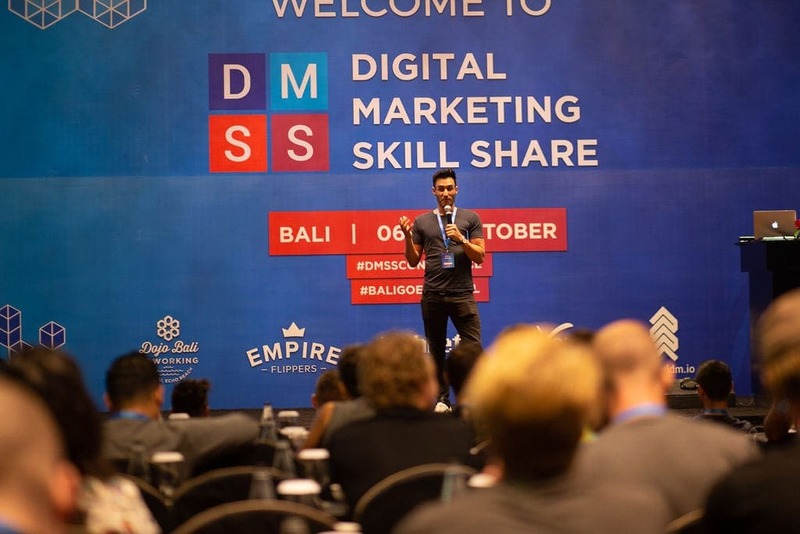 He runs a digital marketing agency White Light Digital Marketing specialising in SEO and is the Founder of DMSS – Digital Marketing Skill Share. Despina helps businesses grow both through scalable marketing methods, leveraging resources and with scalable systems. Helping amazing women from all around the world build extraordinary lives, passion-driven businesses, while having fun every single day. I am a life and business coach, speaker and trainer. My background is in business and marketing, with a strong knowledge of psychology and human behavior. I specialize in internet marketing and building online businesses as well as lifestyle design. I have studied many personal growth and alternative healing methods, and I combine them along with strong strategical and logical thinking into a unique coaching model, called The 3DC Method. I am a founder of PsychologyForMarketers.com – a blog on marketing and lifestyle, and BraveBelle.com – a platform for women to connect and empower each other. Richard Ayling trained personally with Wim Hof to become one of the first international Wim Hof Method instructors, having used the method to overcome his autoimmune disease, and combines these techniques with flow state practices to help people and businesses deliver peak performance around the world. He regularly speaks at international festivals and conferences, and holds workshops specialising in mindset, health, breath work and flow. He is fascinated and driven by human growth and potential, and as a coach helps entrepreneurs and creatives show up as more purpose-driven to have a much bigger impact on their businesses, as well as a deeper connection and fulfilment in their personal lives, which ultimately spreads out into everything they do. He regularly speaks at international festivals and conferences, and holds workshops specialising in mindset, health, breath work and flow. He is fascinated and driven by human growth and potential, and in his coaching helps entrepreneurs and creatives show up as more purpose-driven to have a much bigger impact on their businesses and fulfilment in their personal lives. Juliette and Sheranne are both Co-Founders of the Locomotive Co. The Locomotive Co is a team of professional and experienced health and wellness experts based in Singapore who are committed to providing a sustainable and holistic wellness program for organisations. Juliette and Sheranne will be at DMSS to share more about why workplace wellness is critical in the growth and success of companies and their people, and how we can begin to live a more mindful life through the practice of yoga and meditation.